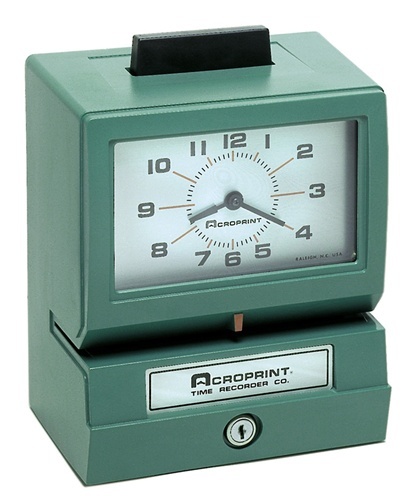 Heavy-duty mechanical time recorder with manual push-bar activated print. Five standard printwheel configurations; other configurations available by special order. Custom typewheels available by special order. 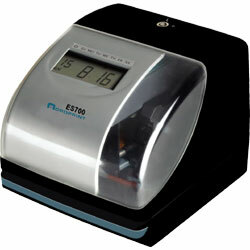 Model 150: One-hand operation with automatic print activated when time card inserted. 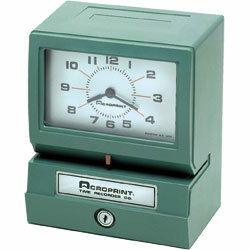 Electronic time clock with built in signal tone. 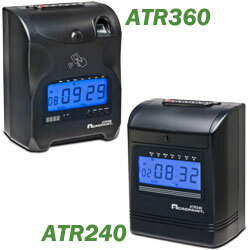 Battery backup, two color printing, automatic Daylight Saving Time adjustments. 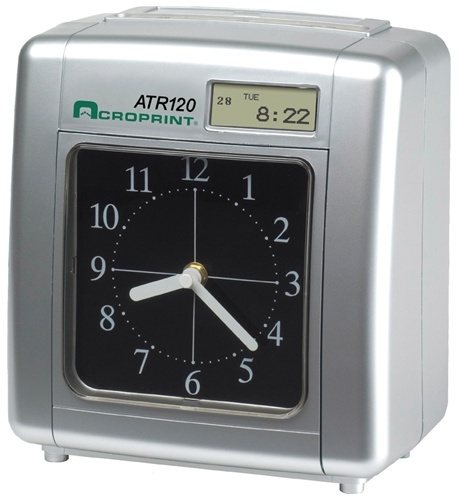 Large, easy to read analog display. 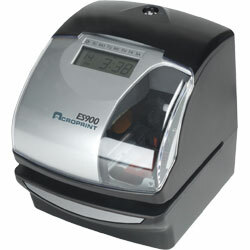 Our classic heavy-duty document control stamps suitable for a variety of applications and work environments. 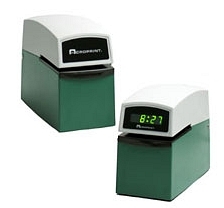 Accomodates hundreds of print registrations per day. Optional custom-engraved stamping plates available to order. 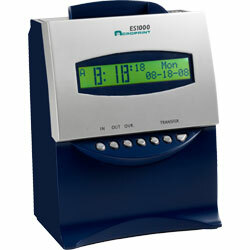 ETC includes digital time display. 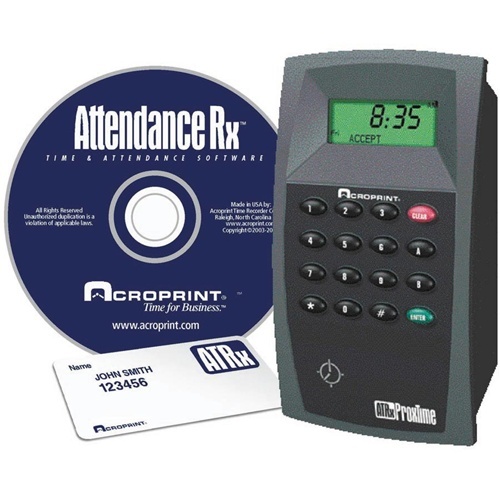 Time and attendance system featuring a proximity badge terminal. Easily clock in and out with the wave of a badge. Single-PC or network editions available for up to 100 employees.